Providing a superior level of informed, professional real estate services to buyers,sellers,investors and custom builds in Central Texas.I can show & sell you any home regardless of which real estate company has it listed. Our listings/homes are selling so fast we need more!!! !For your Complimentary Market Analysis call 254-554-6710. Can't find the home you want?? "Ask me about custom building! Get your "Free Pre-Qualification, Pre-Calificacion Gratis!" If you're planning to sell your home in the next few months, thisFREE service is designed to help establish your home's current market value. Simply choose Market Analysis and fill out the requested information. I will use comparable sold listings to help you calculate the fair market value of your home.Also check out the tips section of Buyer/seller Info it contains some great ideas. Gloria is high energy and goal oriented. A more self-motivated, knowledgeable and effective person due to her exceptional interpersonal communication skills would be difficult to find. She cares for individual’s needs, whatever they may be. Gloria has had training in power negotiation; time management, financing, marketing, and closing techniques, phone techniques and other courses. She provides a superior level of informed, professional real estate services to buyers, sellers, investors and custom built homes in the greater Killeen/Fort Hood, Copperas Cove, Nolanville, Belton-Temple, Florence & Salado areas.Gloria & the Ashmore Group can appreciate your needs in the real estate world. Gloria enjoys working with first time and experience homebuyers, investors as well as military and corporate transferees. She can help you go through these transactions with ease. Your needs become hers. 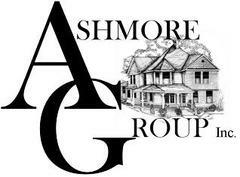 Gloria & the Ashmore Group offer service, integrity and results!